PESHAWAR -- The Pakistani army and minority rights activists are celebrating the marriage of Maj. Harchem Singh, noting the military's opportunities for citizens from all segments of society. Singh is the first Sikh officer in the Pakistani army. He was married Sunday (December 3) at Gurdwara Puja Sahib, Hasan Abdal, Punjab Province, according to a press statement from Inter-Services Public Relations (ISPR). A number of current and retired army officers attended the marriage ceremony. Chief of Army Staff Gen. Qamar Javed Bajawa also congratulated Singh on his marriage and celebrated his service in defending Pakistan. Singh has served in the army since 2007, and his climb in the ranks indicates that the army offers equal opportunities to all segments of Pakistani society and celebrates Pakistan's diversity, officials and activists say. "[The Pakistani army] is a symbol of national integration and respects rights of religious minorities in Pakistan," the ISPR statement said. Sikh minority rights activist Radish Tony of Peshawar called Singh "the pride of the Sikh community and a brave son of the soil who is there to serve his motherland". Minorities are free to worship in Pakistan and have many opportunities in every walk of life, Tony told Pakistan Forward. He compared Singh's rise in the army to that of Capt. Cecil Chaudhry, a veteran Pakistani Christian fighter pilot and war hero who served from 1958-1986 and died in 2012, and of other officers from minorities. Pakistan has many other minorities whose success is "ample proof that every community member if capable can rise to ... prominence", he said. However, he said, more needs to be done to encourage minority youth by extending them 5% job quotas and special seats in education, health and other sectors. "There is no discrimination in society as a whole," said Qamar Naseem, chief executive of the Peshawar-based civil society organisation Blue Veins. "Minorities are free to live, worship and serve in every field, but there are some grey areas at the administrative and constitutional levels that need to be overhauled and streamlined." "Minority rights are also enshrined in our religion, but state legislation needs to be strengthened for the constitutional rights of marriage registration, inheritance and other such administrative measures to make minorities feel more secure," he told Pakistan Forward. Some individual biases towards minorities due to ignorance exist, but they can be overcome with awareness campaigns, said Naseem. Overall, religious minorities in Pakistan feel "safe and secure", said Augustin Jacob, a human rights activist with the Pakistan Minorities Unity Council of Khyber Pakhtunkhwa. "There may be a few elements who because of ignorance may be stubborn, but overall, we are respected as minority members," he told Pakistan Forward. Some issues linked to poverty and lack of opportunities exist, but minorities "can excel and perform, as we have seen them doing in health, education and even promoting art, culture and music", he said. 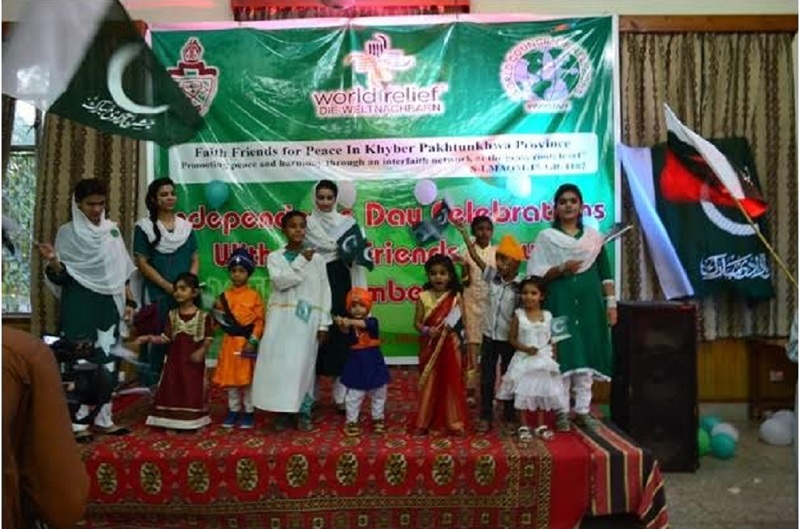 Despite some administrative and bureaucratic hurdles, "minority community members have all opportunities to progress like any other Pakistanis", Hindu minority leader and social activist Haroon Sarab Dayal of Peshawar told Pakistan Forward. "Discrimination ... might be coming from a few, but it's a fact that there is no discrimination towards minorities for being minorities," he said. "Still the state needs to make proper legislation ... for minorities, which is much needed." The participation of minority religious groups in the July elections, including the first victory ever by a Hindu running for a general National Assembly seat, is a step in the right direction, observers say. Security improvements have encouraged Pakistani Christians, Hindus and Sikhs to celebrate such events. 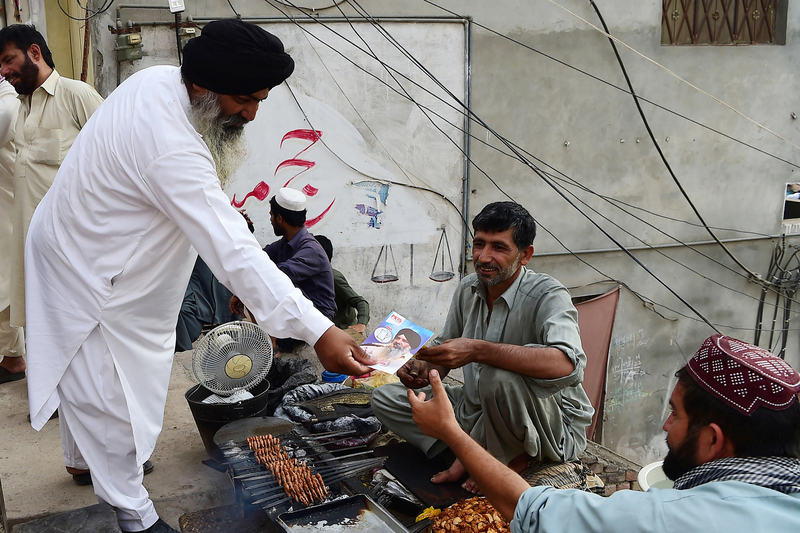 Sahib Singh is hearing praise for his gesture of brotherly love and tolerance during Ramadan.